Presenting our ABS-Lock Falz V (Rounded Seam) anchorage point in moving images: Watch our short product video to find out more about its most important features! 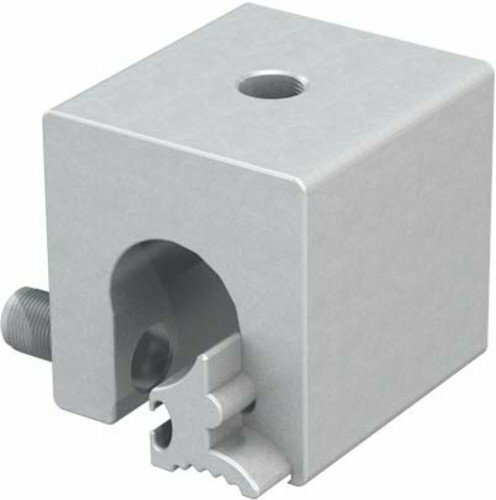 Simply clamp this freely-rotating stainless steel anchorage point onto a rounded-edge seam without penetrating your roof surface. As it is only attached to one single seam, you can work with it irregardless of the seam distance. 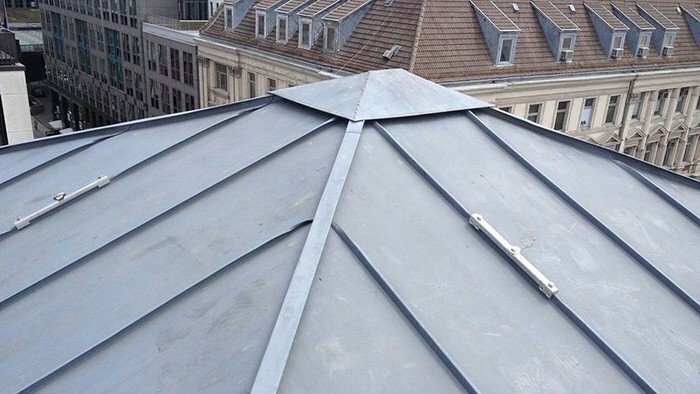 The standard package includes specially-designed aluminium clamps which you can install without having to penetrate the roof membrane. Our ABS-Lock Falz V Rounded Seam single anchorage point includes a freely rotating anchorage eyelet for maximum manoevrability on a metal seam roof. This fall protection device is simply clamped onto a rounded-edge seam (e.g. BEMO etc.) using specially designed aluminium clamps - totally penetration-free. 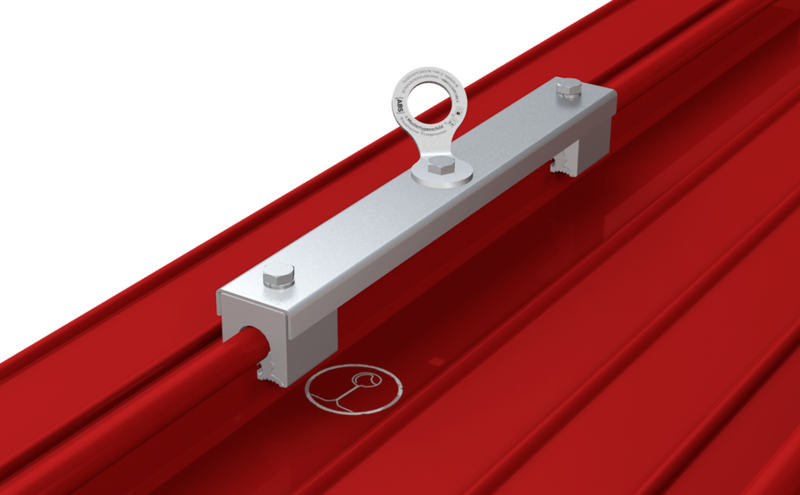 As long as the surface is at least 0.6 mm thick, our ABS-Lock Falz V Rounded Seam can be installed on steel, stainless steel and titanium zinc sheeting. If you would like to install the system on an aluminum surface, this has to be at least 0.8 mm thick. As you only need one single seam to install this system, the distance between the seams is totally irrevelant. Once professionally installed, the device is suitable for usage by 3 individuals equipped with matching personal fall protection equipment (PPE). Our range of Fall arrest PPE products offers all the components you need, such as safety harnesses and lanyards.